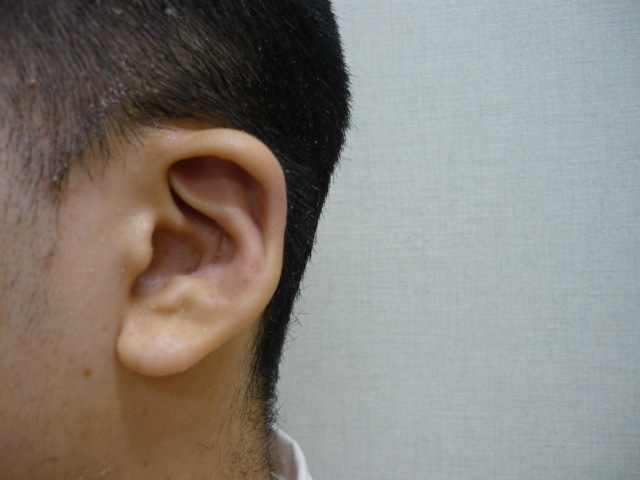 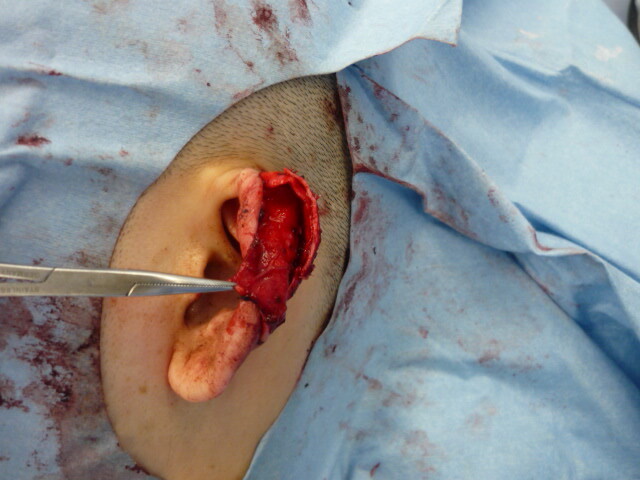 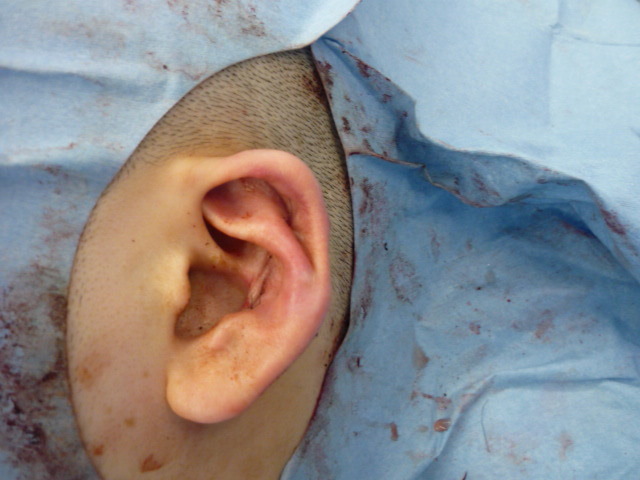 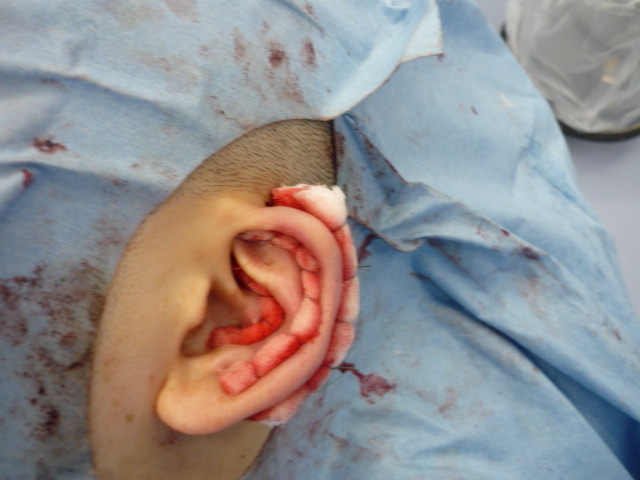 Preoperative appearance of lop ear. 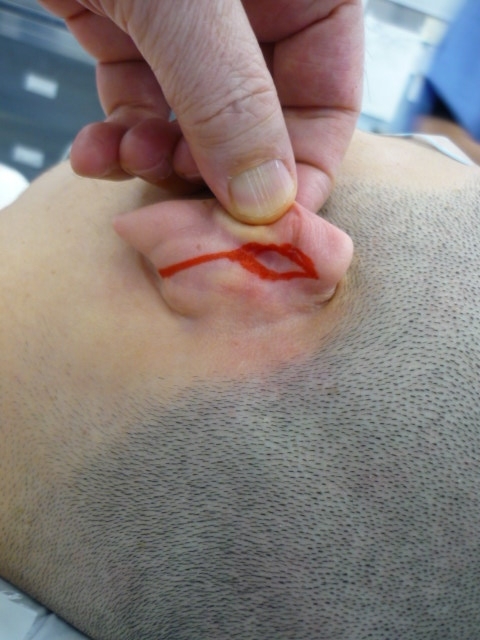 revealing the folded helical rim . 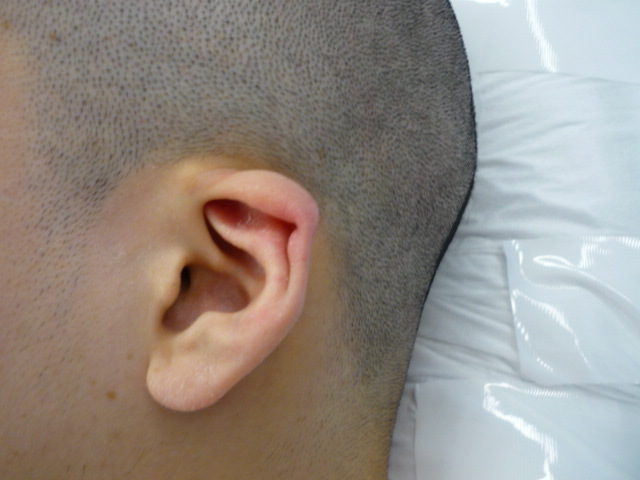 from the posterior surface of the conchal cavity. 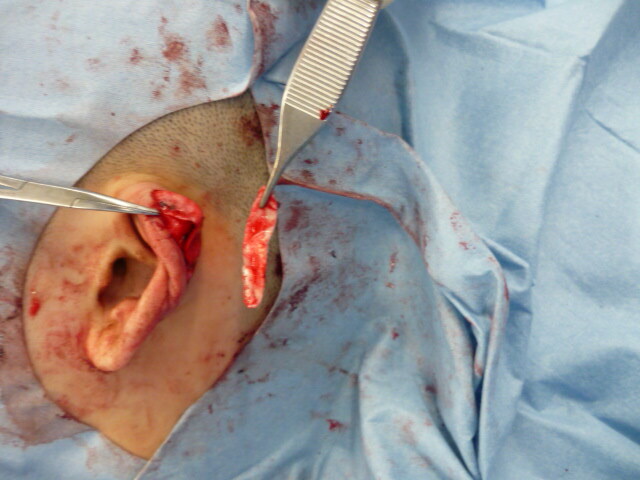 Immediately after suturering the skin flap. 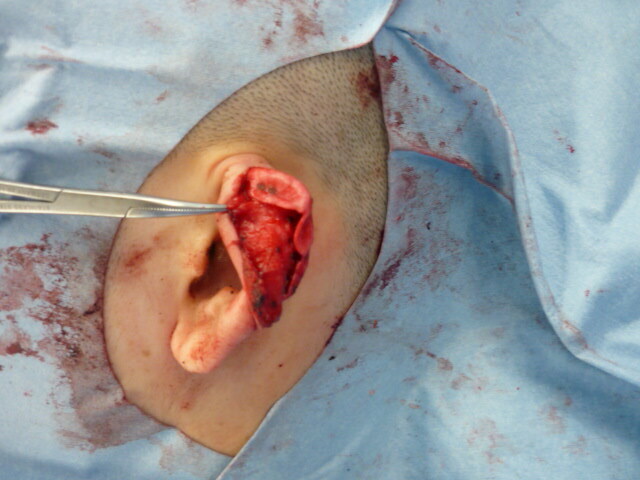 Postoperative appearance and the reconstructed helix.